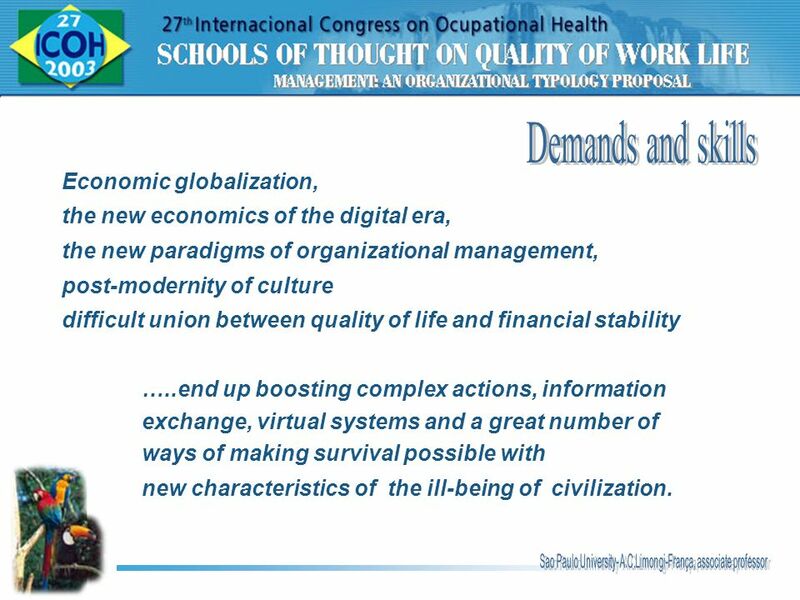 the new economics of the digital era, the new paradigms of organizational management, post-modernity of culture difficult union between quality of life and financial stability …..end up boosting complex actions, information exchange, virtual systems and a great number of ways of making survival possible with new characteristics of the ill-being of civilization. 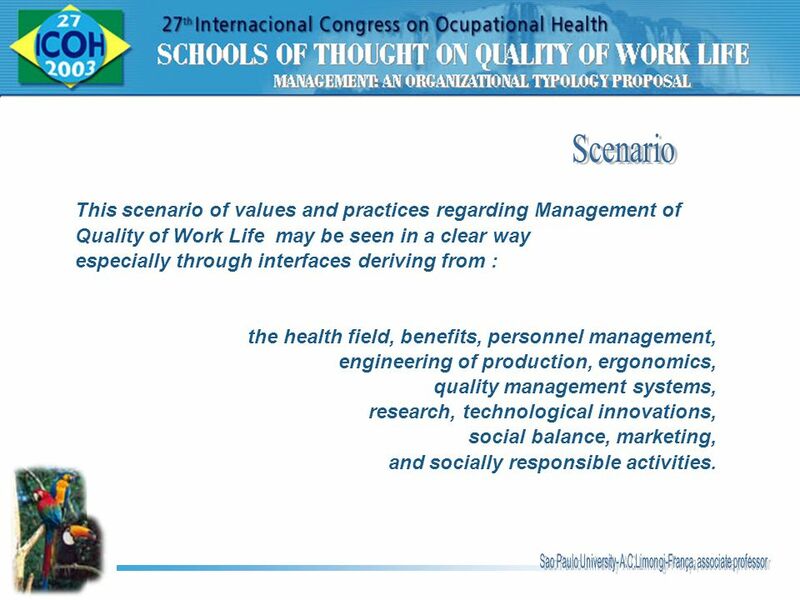 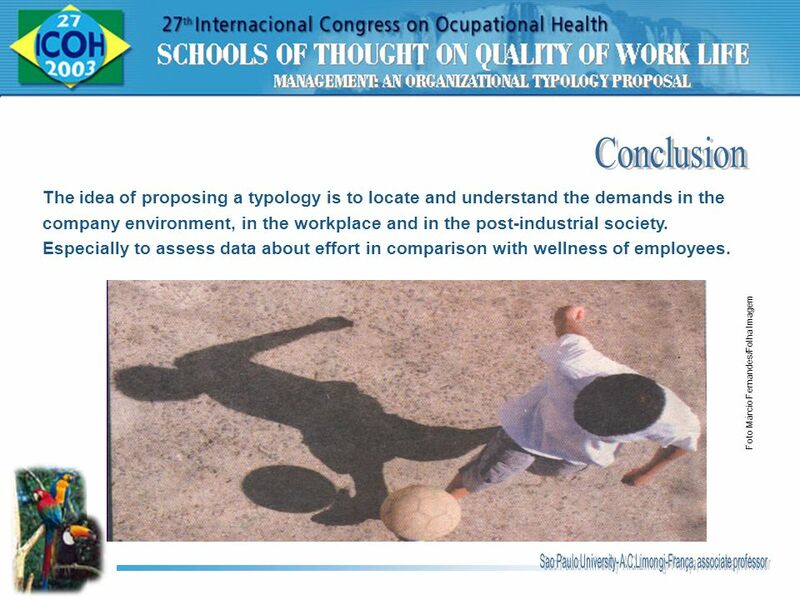 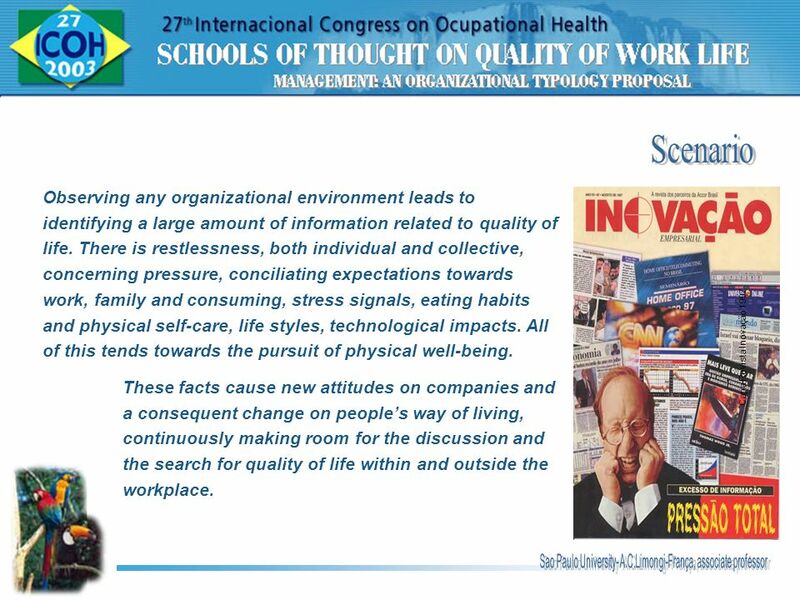 Quality of Work Life may be seen in a clear way especially through interfaces deriving from : the health field, benefits, personnel management, engineering of production, ergonomics, quality management systems, research, technological innovations, social balance, marketing, and socially responsible activities. 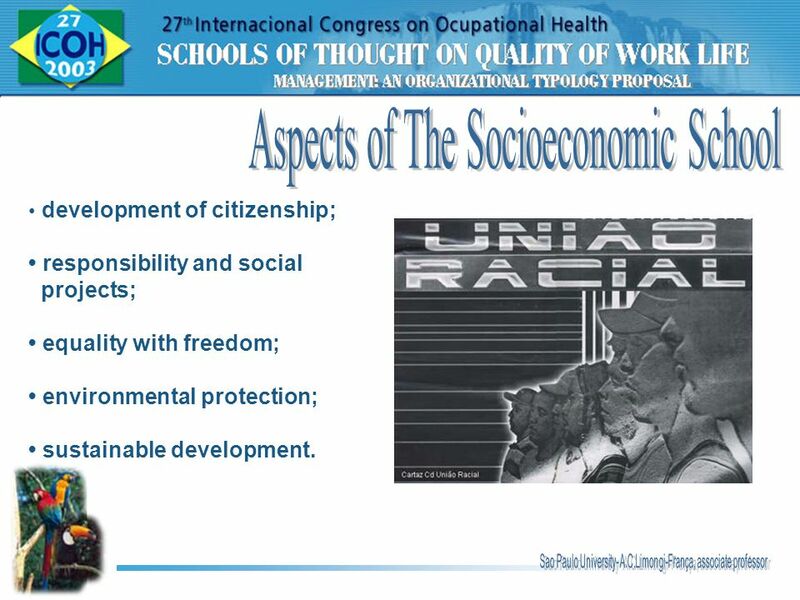 • development of citizenship; • responsibility and social projects; • equality with freedom; • environmental protection; • sustainable development. 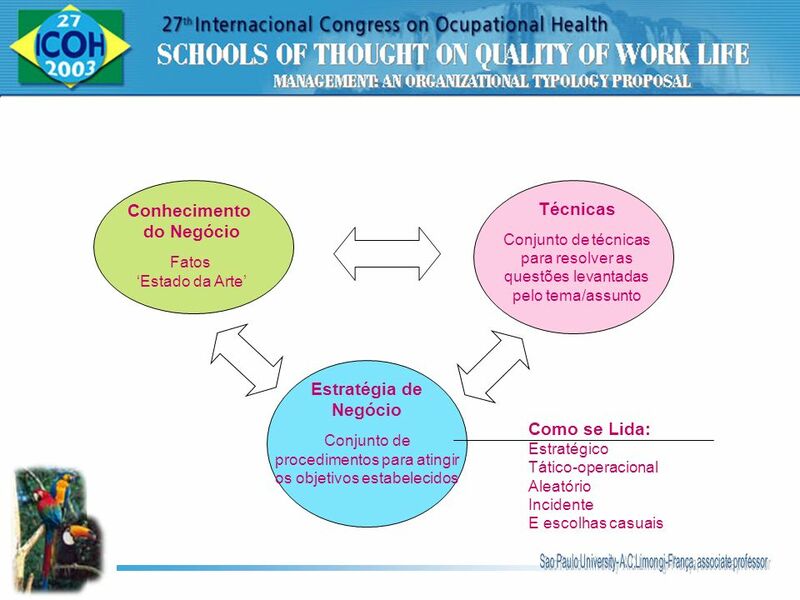 extension of the processes of quality and productivity to that of personal quality; policies of personnel management – valorization and qualification; marketing – corporate and internal communication image; free-time – cultural developments, habits of leisure and sports; risk and challenge as factors for motivation and commitment. 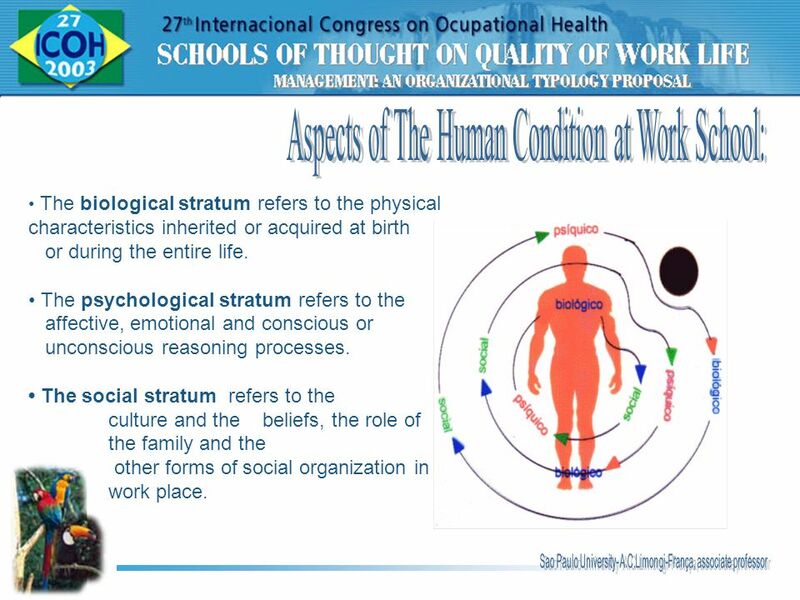 • The biological stratum refers to the physical characteristics inherited or acquired at birth or during the entire life. 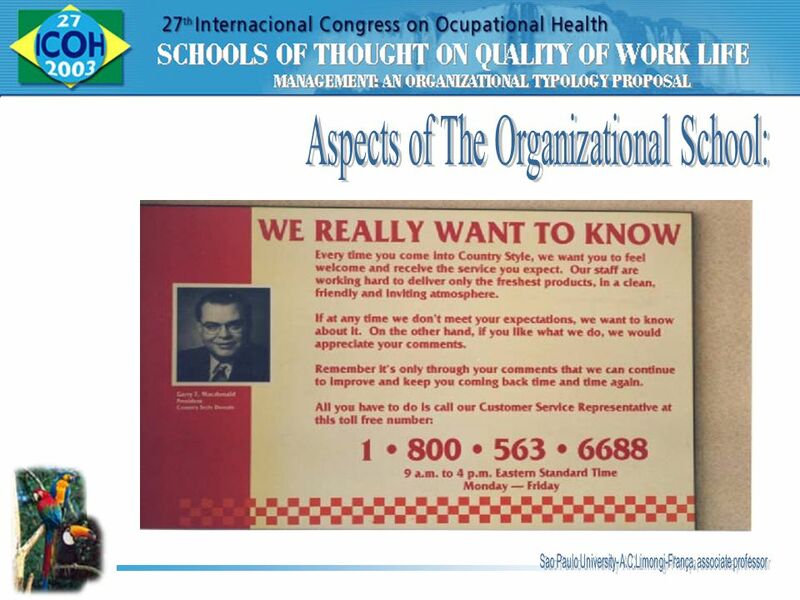 • The psychological stratum refers to the affective, emotional and conscious or unconscious reasoning processes. 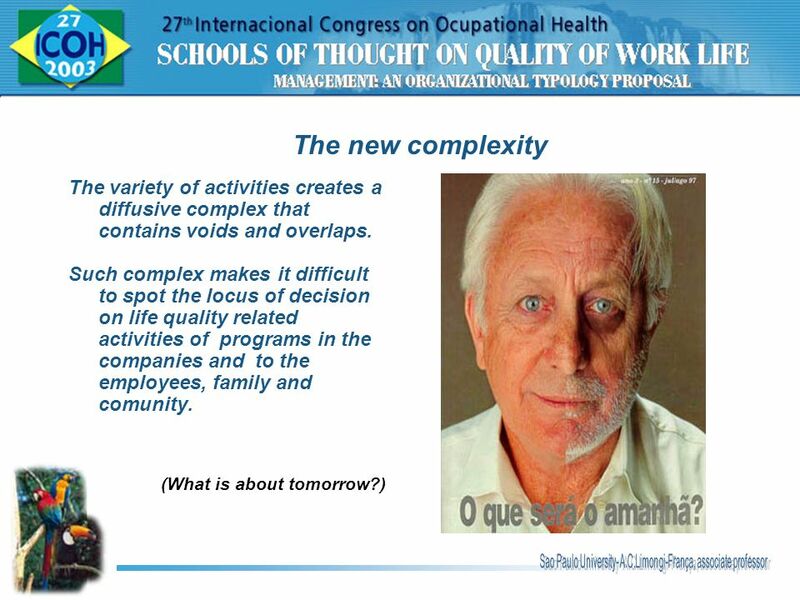 • The social stratum refers to the culture and the beliefs, the role of the family and the other forms of social organization in the work place. 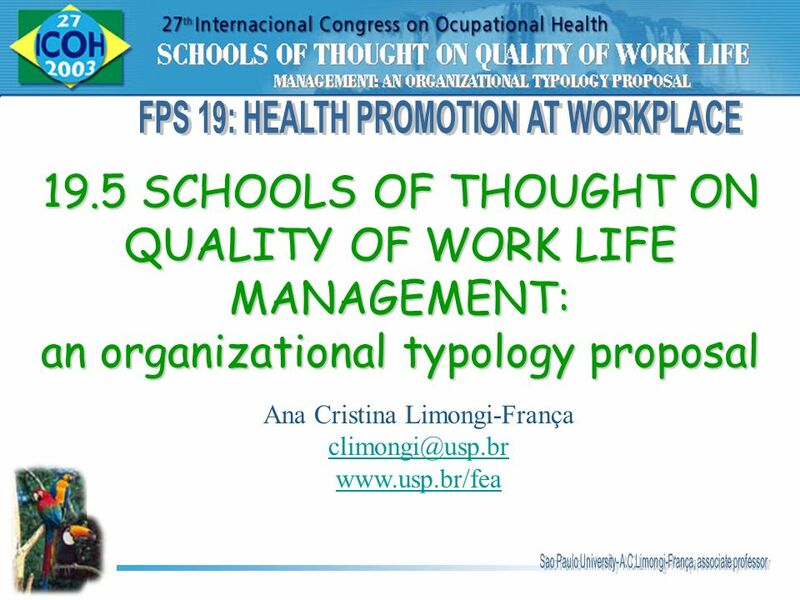 Carregar ppt "FPS 19: HEALTH PROMOTION AT WORKPLACE"